Sep 03, 2015 | By CENS | JOEN LIH MACHINERY CO., LTD.
Joen Lih Machinery Co., Ltd., established in Taichung, central Taiwan in 1988, is a specialized manufacturer of various surface grinders. The company provides high-precision wafer grinding machines for the high-tech industry. 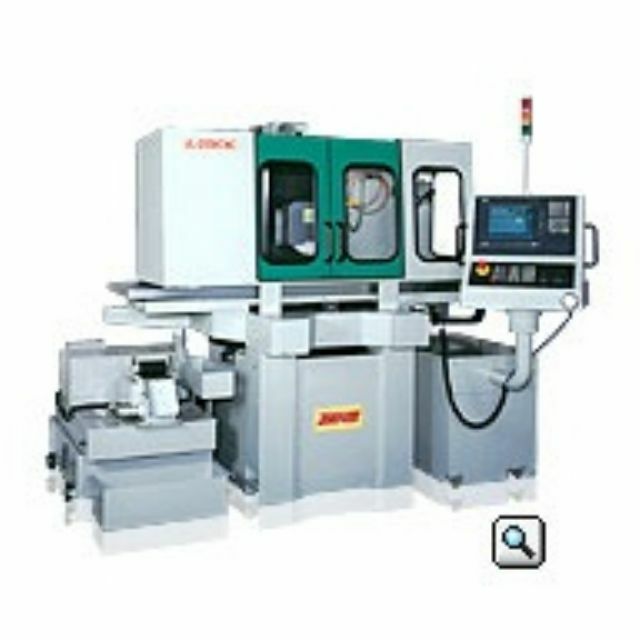 A diamond-outfitted grinding wheel is fitted to the floating spindle, and the machines perform vertical grinding on hard and brittle workpieces requiring the highest degree of surface accuracy and flatness. Beyond wafers, the machines are designed for use with ceramics, quartz, glass and gems. The motor of the machine is built in the air-floating spindle. Variable spindle speeds range from 1,000 to 5,000rpm. The rapid traverse rate is 300mm/min, and a powerful Fanuc Oi-series controller provides full digital control. The wafer-grinding machine comes with a diamond-outfitted grinding wheel, ceramic vacuum suction table, spindle temperature controllers, vacuum pump, and toolbox. There is also an optional precision air dryer, height gauge, and high-precision spindle. Joen Lih mainly sells high-precision wafer surface grinding machines to Southeast Asian countries, the United States, and Canada.